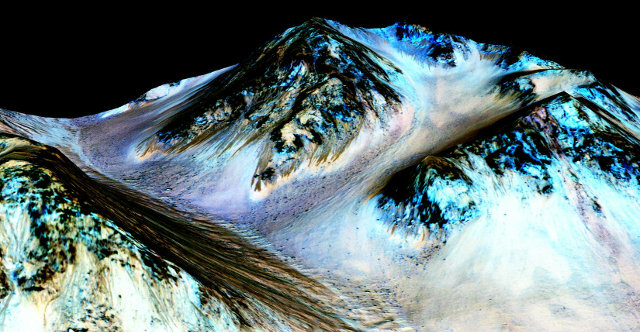 Yesterday NASA announced the existence of flows of liquid water on Mars. The study, just published in the journal “Nature Geoscience”, is based upon years of analysis of data collected mainly thanks to the NASA’s MRO (Mars Reconnaissance Orbiter) space probe. The images captured by its camera and spectrometric data allowed to find streams of water along the walls of craters and slopes that vary over time and perchlorate salts in them. After more than two months since the extraordinary Pluto flyby of NASA’s New Horizons space probe some people might think that the data arrived to Earth are enough to know this dwarf planet comprehensively. Reality keeps on being very different on this small world frozen yet as varied as you would expect from a geologically active planet with an atmosphere that can erode its soil. Here then is the image of a “snakeskin” surface that again leaves scientists puzzled and surprised. 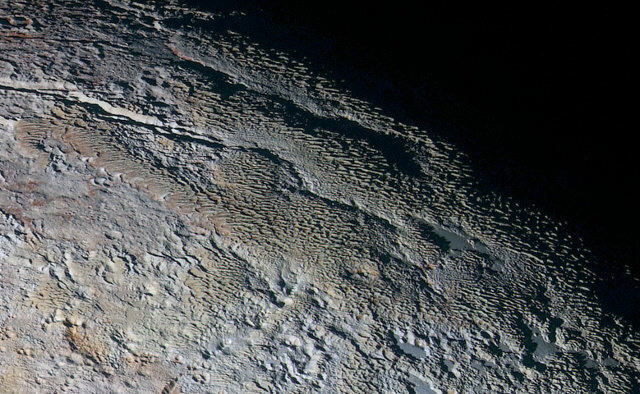 The latest images of Pluto just published by NASA show new details of this dwarf planet. So far, the photographs were usually taken from the New Horizons space probe’s LORRI camera, instead these ones were taken by MVIC (Multispectral Visible Imaging Camera), one of the components of the Ralph small telescope that’s part of probe’s payload. 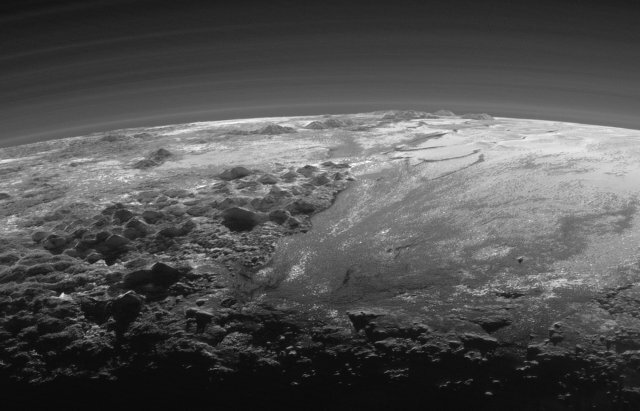 These pictures show in an extraordinary way mountains, glaciers and the hazy layers of Pluto’s atmosphere. 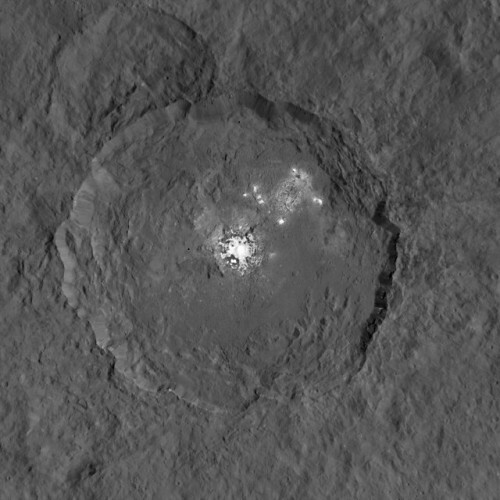 NASA has released a new image of the now famous white spots of Ceres, one of the most mysterious geological features found on this dwarf planet. 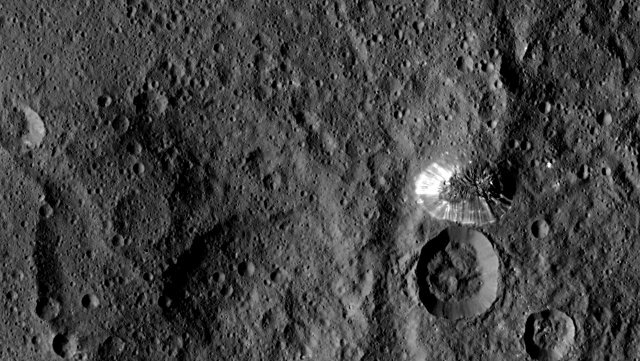 The Dawn space probe is currently mapping its surface from an altitude of 1,470 km (915 miles) and that allowed to take pictures much more detailed than the ones previously available. These new images have a resolution of 140 meters (450 feet) per pixel and are providing new information about the white spots waiting for in-depth analyzes.